BBC Three has unveiled a new look as part of a major shake up which will bring a whole heap of new programmes to the channel. From February onwards the BBC's dedicated 'young persons' channel will also be broadcast simultaneously on digital TV and the internet. 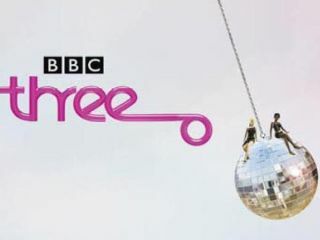 Commenting on the revamp, BBC Three controller Danny Cohen also said that user-generated content would feature more prominently. Interactive ideas will be placed "at the heart of programmes", he added, as part of the BBC's "innovative and exciting approach to television for young audiences". "BBC Three should be known for pioneering risk, and be obsessed with all things new - new talent, new programmes, and a new relationship between television and the internet," said Cohen. As part of this new breed of 'interactive' programming, the BBC is planning to launch The Wall and Upstaged, two music-based shows looking to promote new talent. In the case of Upstaged, musical talent will reportedly be courted and nurtured on the internet, before being given a TV opportunity. The channel will also commission six one-off dramas, plus dramas from Shameless writer Paul Abbott and Gorillaz artist Jamie Hewlett. In addition there will also be a complete re-launch of the 60 seconds news bulletin. Trumping all this, at least in terms of viewer ratings, though is the news that BBC Three will be the new home to the second series of hit US series Heroes. Thankfully, among all the comings and goings they're keeping Family Guy. Perhaps not so thankfully, pop princess Lily Allen will be getting her own chat show. One can only hope it isn't as bad as Charlotte Church's ill-fated attempt.